a "re-construction" of the "First Chimney", which was torn down in 1994. 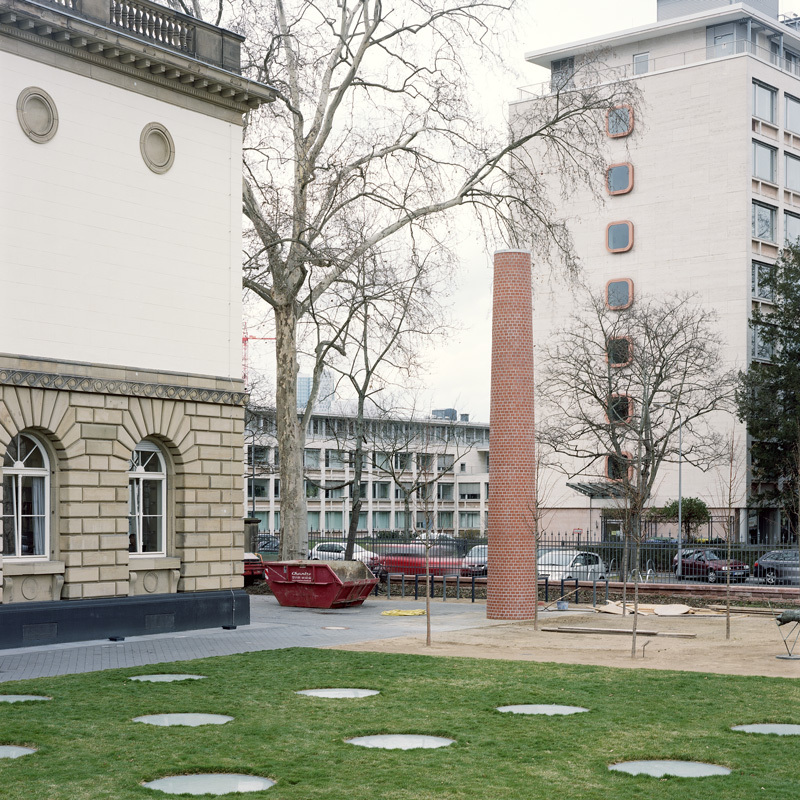 "First Chimney II" is 10 m high and was built in March-April 2013 as a permament sculpture for Frankfurt's Städel Museum gardens. This photo, which was reproduced in the "Back to Earth" catalogue, was made before the building site had been fully cleared. Construction team. "Talk"-diary from construction period (illustrated). During April-June JS also showed a selection of chimney related works inside the museum. Alternative views. Project image. Photo work in an edition of 3, 2016.